Welcome to Cosmi, rated by our guests as small and very friendly. We are situated 300 meters from the beach front, and we are a family run holiday home. The apartments are convenient for a relaxing holiday by the sea, or just chilling out by our pool, voted one of the cleanest in Crete. Allow us to make your holiday memorable, for the right reason. The apartments are open from May through to September. Have you started to think about your holidays for 2014? Are you fed up with the cold and wet conditions, the blustery winds and dark nights? 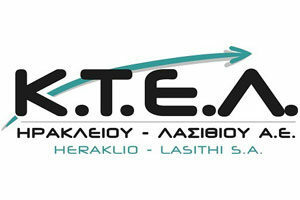 Well let us share some of our wonderful Crete weather with you. Welcome to Cosmi Apartments, which are set in the seaside area of Gouves. On this page we will show you all the facilities that we have to offer, to ensure that your special holiday will be remembered for the right reasons. Cosmi may be small, but we are a family run organisation dedicated to making your stay memorable. Take a look through all the pages to see all the facilities we have to offer. You can always been assured a warm welcome at Cosmi. Give us a call (please remember the two hour difference, we are ahead of the UK) we would be delighted to hear from you and set out a programme that will make sure that your holiday is one to remember – for all the right reasons. If your idea of a holiday is simply to chill out by the pool, or you want to explore parts of out historical heritage – Cosmi is for you. We cater for families, and couples and realise the importance of setting the right tone. The beach is just 300 yards away from our well placed accommodation. 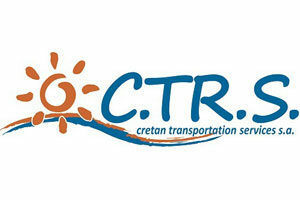 It really is only a short walk to the National Highway for Crete famously comfortable buses. If you want local shopping, then again it’s a very short walk away. Nightlife here is not about “lager louts” and “pub jaunts”, Gouves is civilised and has many fine tavernas and cafes around the beach area in which to enjoy some famous Cretan Cuisine, and we would be delighted to point you in the right direct.